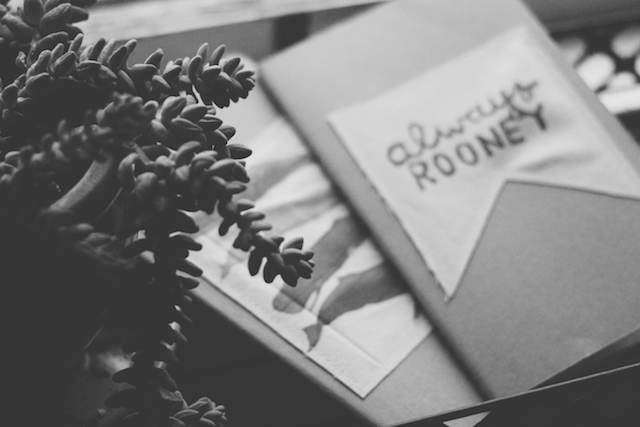 I always have a moleskine journal with me, if not two. 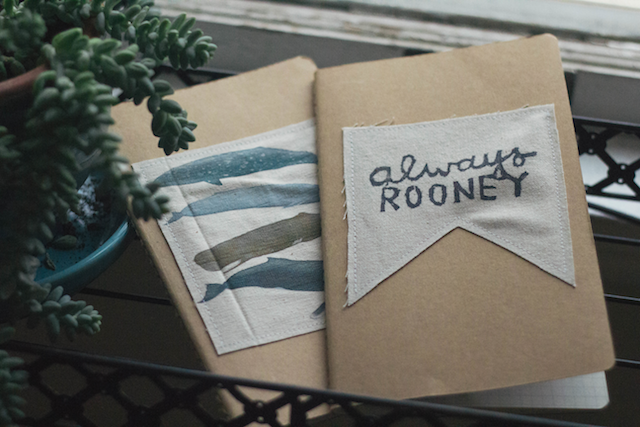 I usually have one with ideas and one for everyday journaling. 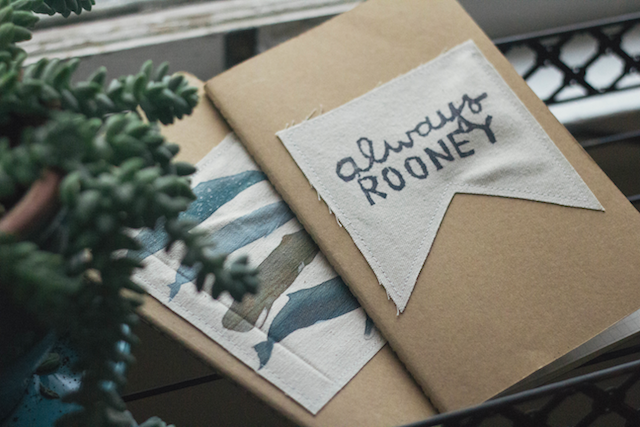 I can't get away from the simple journal- I love the consistent look of moleskines, so I don't usually branch out and buy other cute ones even though there are a lot of cute ones out there. 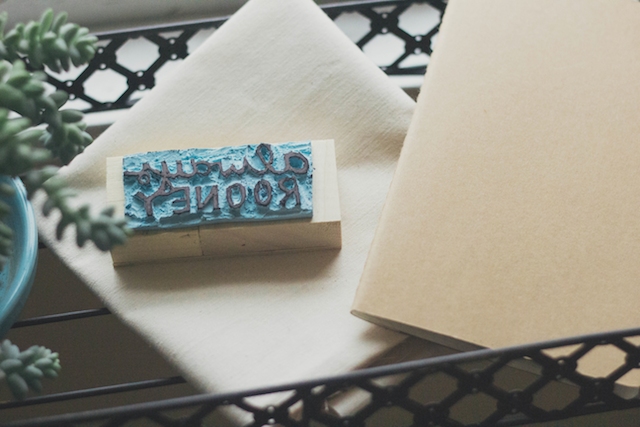 I wanted to give the front of my journals a different look just so I could differentiate the two easier. 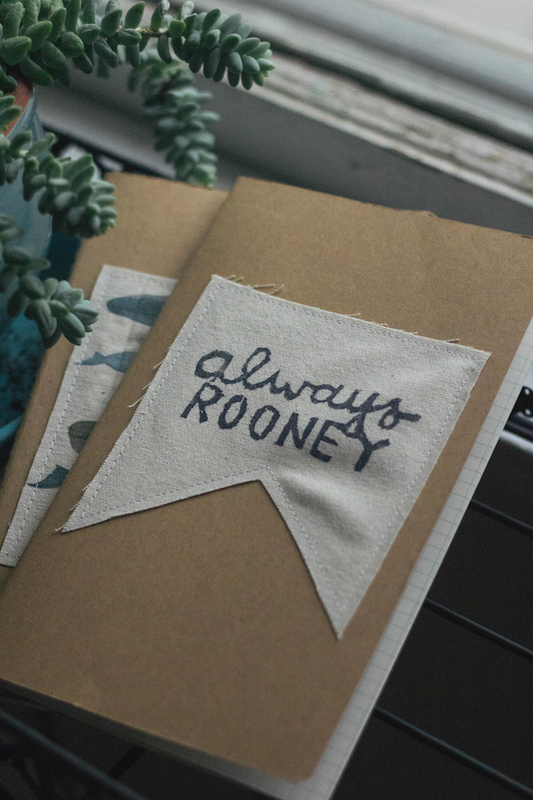 For my idea journal, I used a stamp I carved myself that says "Always Rooney" and stamped it on canvas fabric and cut it in a banner shape. 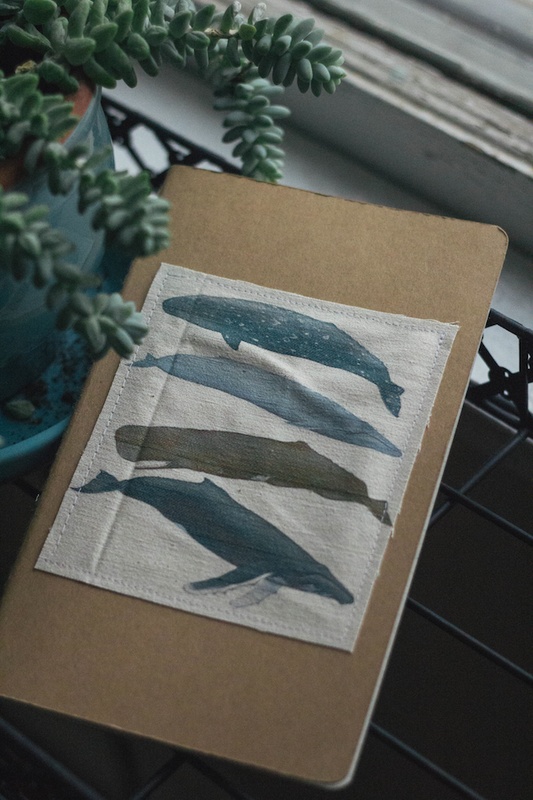 After that, I sewed it on the front of my moleskine. 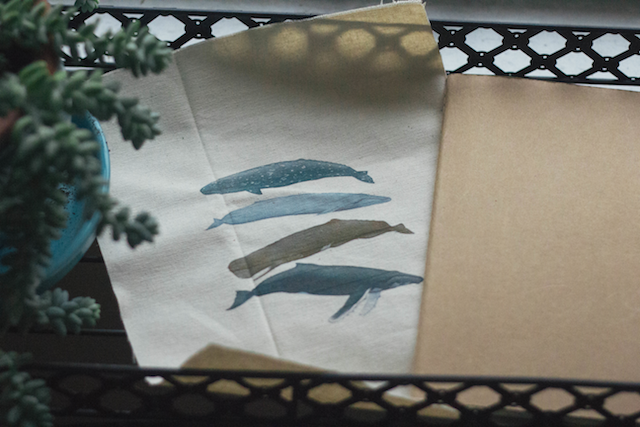 For my everyday journal, I made this whale graphic (download here) and printed it out on canvas. To print on fabric, cut an 8.5 x 11 sheet of fabric and tape the ends to card stock paper, feed it in the paper tray of your printer card stock side up & print as usual. Then I cut it out and sewed it on my moleskine. Do you carry journals with you? These came out so lovely! Such a beautiful DIY. Where do you buy your moleskin notebooks? This is fantastic! Great personal touch. I carry journals all the time; I'll have to try this! I used to carry a journal more often... I should start again. 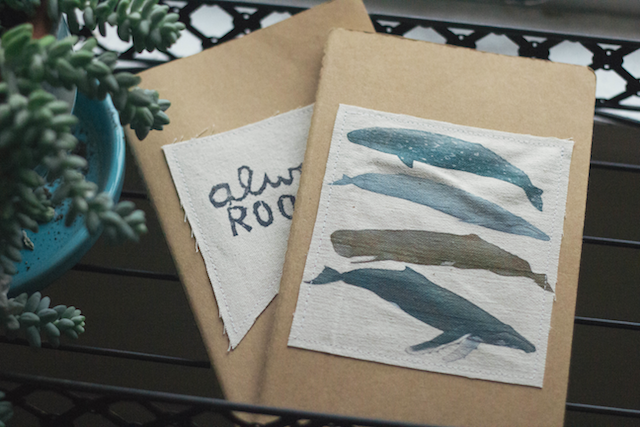 This is so beautiful, I really love the whale print. Thanks for sharing!